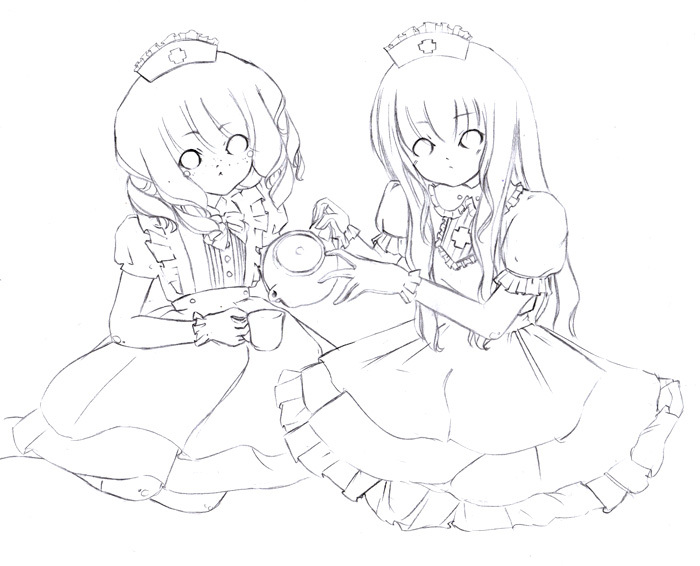 Tea and Lilith on their tea break at work. i like the way you drew the dresses and eyes! !